↑ Lindburg, D.G. 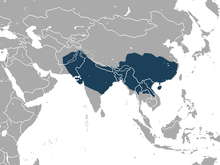 (1971) The rhesus monkeys in north India: an ecological and behavioural study. In: Rosenblum, LA (ed.) Primate Behaviour: Developments in the field and laboratory research. Academic Press, New York, vol.1, pp. 83–104. ↑ Feeroz, M.M., Islam, M.A. and Kabir, M.M. "Status distribution and conservation of Primates in Bangladesh." 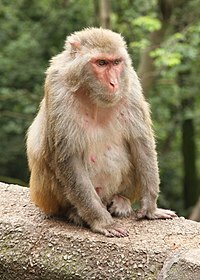 Kyoto University overseas Research Report of Studies on Asian Non-human Primates. 1995, 9: 73-82.